Beech | Buckhannon, WV | AFP Logs & Lumber, Inc.
Beech works readily with most hand and machine tools. It has good nailing and gluing properties and can be stained to a good finish. The wood dries fairly rapidly but with a strong tendency to warp, split and surface check. It is subject to a high shrinkage and moderate movement in performance. Furniture, doors, flooring, millwork, paneling, brush handles, woodenware, bending stock, toys and turnings. It is particularly suitable for food and liquid containers since there is no odor or taste. Availability is fairly limited. 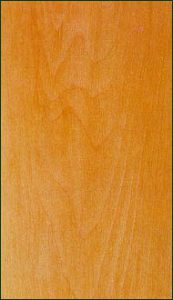 .4% percent of total U.S. hardwoods commercially available.